American Cinema | Cinema, etc. I’m growing tired of the Masters of Cinema releases. Time after time they release excellent transfers of classic forgotten cinema, more often than not films I’ve never heard of before, put a lovely package together and release it for about the same price as going to the cinema. It’s sickening. Unfair almost. Elaborating on my first point – my wife and wallet are growing sick of the Masters of Cinema releases. I personally can’t get enough of them. Too Late Blues has largely been considered a failure, not least by director John Cassavetes. His major studio debut, released following the hugely successful Shadows in 1959, the film is infamous for its compromises, which cover everything from the music to the script and even the main cast. Watching it now it is hard to see what the controversy is about. 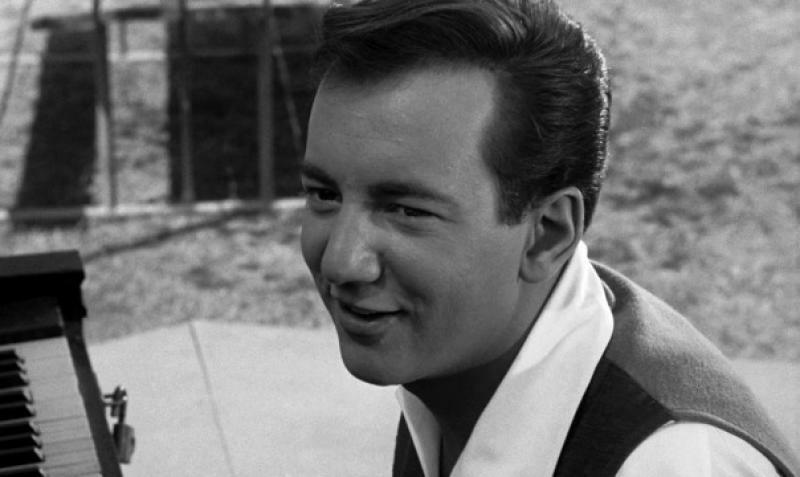 I was particularly taken aback by Bobby Darin’s performance. I’m of a generation that knows him almost exclusively for his huge signature tune “Beyond The Sea”, and less so for “Splish Splash”, which is now unfortunately associated with the “falling in the garden pool” segments on You’ve Been Framed. Playing Ghost, the leader of a struggling jazz band, Darin toys with the frailty of a damaged ego whilst putting on a front for his love interest and fellow aspiring musician Jess (played by Stella Stevens). He plays it with charm and integrity and it’s a fantastic performance in one of his early film roles. Cassavetes ensures his stamp is made on the film by carefully throwing in one-liners that subtly defend his fear he’d be viewed as selling out by fans of his debut. At one point, a line is delivered that points to the “mixin’ up of the races” as one of the sins of jazz musicians. The fact this is delivered by an idiotic ruffian is a clear indicator that Cassavetes did not agree with the statement and was using the line as a critique of the copious Hollywood films about the thriving mixture of inspirations and culture that was the 1950s jazz scene, but which all centred on exclusively white musicians (Young Man With A Horn and Pete Kelly’s Blues are good examples of this). Indeed, the very subject matter of Too Late Blues is a man struggling with artistic integrity and what he sees as selling out. It’s an intelligent compromise and the fact it made it past the studios sort of proves his point. Stealing the show above everyone else though is Everett Chambers, who plays the artists’ agent Benny Flowers. Reminiscent of Joe Pesci at his most evil, he perfectly plays a man riddled with jealousy. His efforts to sabotage his acts’ careers in order to keep them in his control are trumped only by the efforts he puts into ensure Ghost and Jess never become a couple, so desperate he is to end up with the girl himself. This reaches breaking point in a highly memorable bar-room brawl, which he orchestrates to perfection whilst seemingly never getting involved. It is a shame that this would prove to be one of the few roles that Chambers completed before transferring to a very successful career in television production, as he shows every pointer of being an excellent actor. The promise shown in the opening act of the film are never really delivered on, and this is probably because of pressures from the studio upon seeing the progress as it was made. That said. it is a worthy addition to the continually excellent Masters of Cinema collection and well worth the monetary and emotional investment. Too Late Blues is out now in the UK on Blu-ray and DVD dual format release, courtesy of the Masters of Cinema collection.